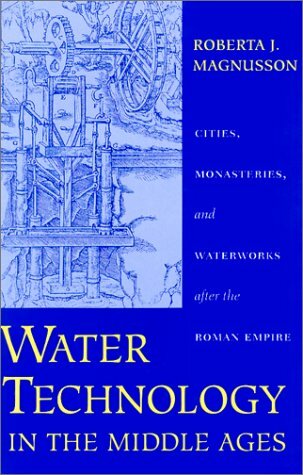 Focusing attention on gravity-fed water-flow systems in medieval cities and monasteries, Water Technology in the Middle Ages: Cities, Monasteries, and Waterworks after the Roman Empire challenges the view that hydraulic engineering died with the Romans and remained moribund until the Renaissance. Roberta Magnusson explores the systems' technologies—how they worked, what uses the water served—and also the social rifts that created struggles over access to this basic necessity. Mindful of theoretical questions about what hastens technological change and how society and technology mutually influence one another, the author supplies a thoughtful and instructive study. Archeological, historical, and literary evidence vividly depicts those who designed, constructed, and used medieval water systems and demonstrates a shift from a public-administrative to a private-innovative framework—one that argues for the importance of local initiatives.